A dad-of-three died after a robot knocked a doctor’s hand during a pioneering operation with the new technology, an inquest heard. Heart surgeon Sukumaran Nair and his assistant doctor Thasee Pillay were struggling to concentrate and talk to each other due to a 『tinny』 noise from the robot while operating on Stephen Pettitt’s heart valve. Mr Pillay said he had to raise his voice when he realised the stitches on Mr Pettitt’s heart were not being placed in an 『organised fashion』, after the robot knocked a theatre assistant’s arm. Mr Nair agreed with an official report that his use of robot surgery, the first of its kind in the UK, was like 『running before you could walk』. 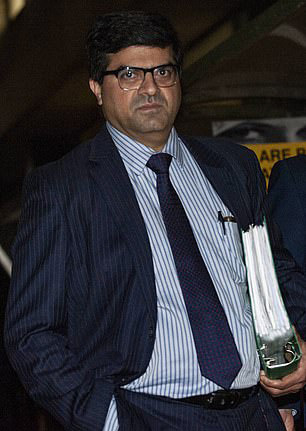 He also said he told the 69-year-old father about the risks, but admitted: 『I did not tell him he ran a higher risk being the first robotic mitral valve patient.』Mr Nair, who told the hearing he no longer carries out robotic surgery, agreed with coroner Karen Dilks that it was 『more likely than not』 that Mr Pettitt would have survived had conventional, open heart surgery been used. The surgeon told the inquest in Newcastle that when he undertook the operation in February 2015 at the Freeman Hospital, he had not had any one-to-one personal training on the use of the Da Vinci robot, but had observed others and practised on it alone. Sukumaran Nair said he did not tell the patient he ran a higher risk being the first robotic mitral valve patient. When it started to go drastically wrong, medical experts, known as proctors, who were flown in to oversee and take over in crisis, had left the theatre. Mr Pillay told the inquest he believed they had gone on a coffee break, it was later revealed that they had left Newcastle’s Freeman Hospital before the surgery was successfully completed. 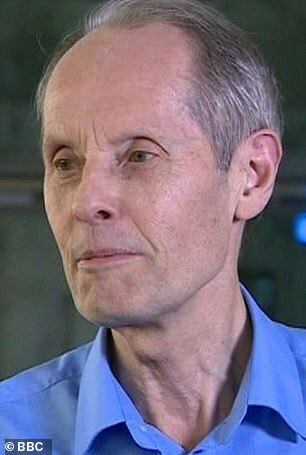 Mr Pettitt was diagnosed with a mitral valve leak after experiencing palpitations and, being tall and not overweight, was considered a good candidate for the new, robotic technique. But near the expected conclusion of the long operation, it was discovered that sutures inside the heart had criss-crossed and needed to be repaired. By this time Mr Pettitt’s aorta had been cross-clamped for a considerable time, and the robot camera was blinded by leaking blood. Thasee Pillay said he had to raise his voice when he realised the stitches on Mr Pettitt’s heart were not being placed in an 『organised fashion』. The doctors decided to convert to open heart surgery, but the patient could not be saved and died from multiple organ failure in the following days. 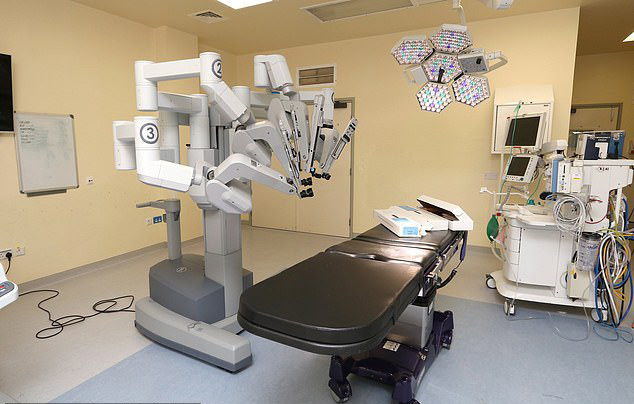 Mr Nair agreed when Barry Speker, for the Newcastle Hospitals NHS Trust, read from an official report by a professor that his cross-clamp times in non-robotic operations were slow and moving to robotic procedures was 『a premature step, running before you could walk』. Speaking about gaining patient consent, Mr Nair said: 『I made it clear to him that he is going to be the first robotic mitral valve repair patient. He was asked if he was considering switching to open surgery when the proctors unexpectedly left the theatre. He replied: 『At the stage when they left the operation was progressing well. 『It didn』t cross my mind that the proctors [leaving] should have been an indication to convert immediately. Georgina Nolan, representing the family, asked whether Mr Nair had any face-to-face training on using the robot. The inquest heard Mr Nair shadowed US surgeons carrying out four robotic mitral valve repairs, and one in Holland, and that he practised alone on a simulator, but had no individual hands-on training. He said he was offered training in robotic surgery with the gynaecology department but he had his own list of operations to perform on that day. Earlier, cardiac surgeon Professor Stephen Clark was asked what he thought about the proctors leaving Mr Nair’s operation. He said: 『If the proctor leaves, that safety net has gone and you are left with an operation that is outside your normal experience and remit.